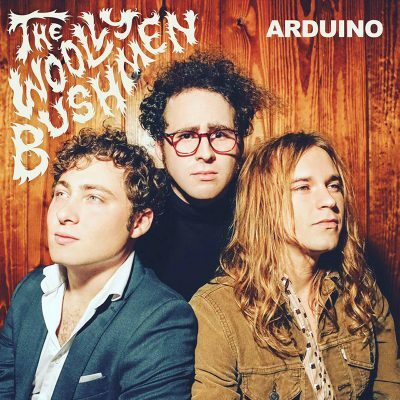 The Woolly Bushmen are a true diamond in the rough. They beautifully dance with snarling garage rock twisting with gritty blues tendencies. Their new record, ARDUINO, is a true masterpiece. Within it’s hallowed, see-through orange grooves are 11 rocking rippers that make me feel as if I’m front row at their gig. This record is full of solid numbers, so I’ll pick out a few so as to not spoil a well-worthwhile listen. ARDUINO opens up with the aptly named “Something New.” Starting out with pounding drums, this intro leads me on into something exciting. It’s a fast and simple pulsating, upbeat, rock n’ rolling number that gets the blood rushing. “Hanging Blue” touches on some gritty, blues-driven garage rock. Its kind of indie tendencies meets a sound vaguely touching on rockabilly notions. “I Don’t Want You” is the killer track on the A-side of this record and is a real moody groover. It leads in with a prominent spooky organ, followed by an infectious drum beat. I’m sure I’ve listened to it over 1000 times in a seven-day span—and mind you, I will continue to do so. This track captures the 1960s teenage garage rock defiance while meddling with a style that is new and refreshing. Think The Booze’s “Down On Your Luck” but gritty and with the addition of a delicious use of the organ. “Don’t Let Him In” continues with that previous track’s idea, but is noticeably wilder. Still blasting out with the organ, this ditty invokes the need to passionately throw oneself about. Playing this loud will ensue bouts of recklessness, so by all means, do! ARDUINO’s B-side starts out with “Blue Powder.” This track channels Little Richard’s devastatingly wild rock n’ roll spirit. It’s got an amazing teenage-degenerate R&B style. Again, this record plays as if it’s a live show, and this track has got me dancing around like a giddy idiot. “If It’s All Right With You” has a groovy pop notion to it. Think The Beatles meets ? and The Mysterians. This track has a cool beat that compels one to move their hips. “If It’s All Right With You” comes across with teenage innocence. It’s short and sweet, which is all you really need from a little pop number, and is a perfect conclusion to this album. The Woolly Bushmen have something impressive here. ARDUINO was recorded by Rick Miller of Southern Culture On The Skids at Kudzu Ranch and mastered by Dave Gardner at Infrasonic Mastering. It’s music that not only has a delectable rebellious attitude, but above all, it’s rock n’ roll to dance to. Theirs is not indie bland nor burger-fed, puked-out pop. Like few other groups before them, this band has found an untapped niche that mixes soul with a garage-rocking roll. The Woolly Bushmen are among the true champions of music meant for the bold and fearless.